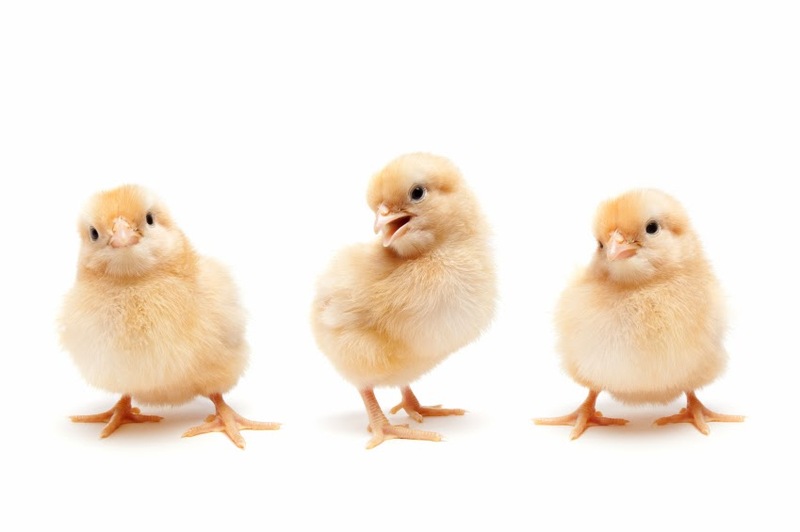 In the first two installments of this series on raising baby chicks we discussed the equipment required and also how to select the right breed. In this third installment, we'll cover a topic that's near and dear to our hearts - providing water to your new babies. If you buy your chicks locally, they will probably come home in a cardboard box. The trip may be short but it will put them under some stress. If you order your chicks from a hatchery and have them delivered by mail, they will not have had food or water for several days. Worse still, they may have had a fairly bumpy ride through the U.S. Postal Service sorting facility. Whether purchased locally or by mail, it is extremely important to your chick's survival that you are ready to take care of them the moment that enter your home. Ideally, your brooder should be warm (about 90 degrees Fahrenheit - Centigrade) and you should have both food and water on hand to give them. However, the first priority is getting them hydrated again. Luke Warm Please - Adult chickens tend to prefer cool water but baby chicks may be shocked if the water is too cold. We recommend giving your chicks room temperature water. The best way to do this is to place some water into a pitcher or other container before you pick up your chicks and allow it to come to room temperature while you're in transit. 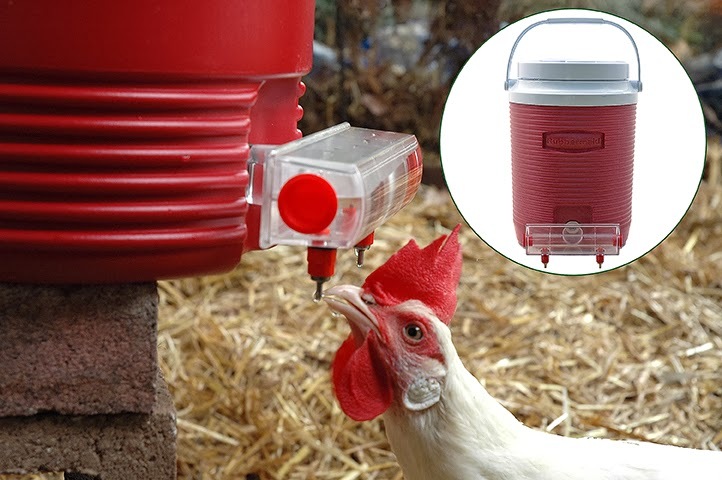 Introduce Your Chicks To Your Waterer - Chicken's need to shown where to find water. Before placing your chicks into the brooder, pick up each bird and dip it's beak into the water dish and so that the chick understands that the dish is filled with water. 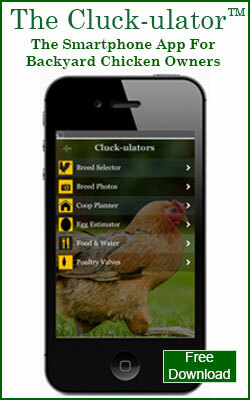 Baby Chicks Drinking BriteTap Chicken Waterer from ChickenWaterer on Vimeo. Traditional water dishes are placed onto the floor of the brooder where they are easily contaminated by dirt and droppings. The BriteTap waterer is fully covered so it prevents debris and poop from getting into the water. That means cleaner water for your baby chicks and less water changes for you. Baby chicks have a tendency to knock over water dishes and this soaks the bedding material. 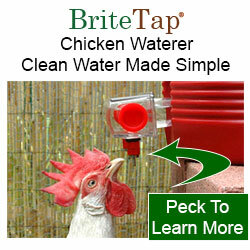 The BriteTap waterer is a closed system, baby chicks can't knock it over. 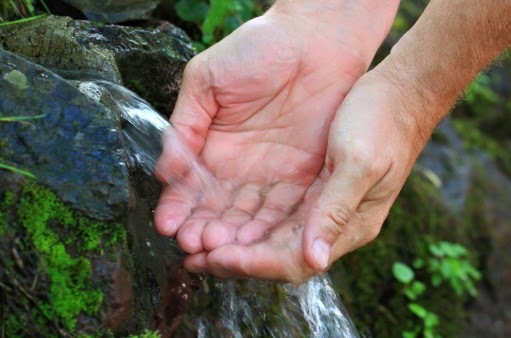 As a result, you'll be able to change the bedding less frequently than you would if you used a dish waterer. 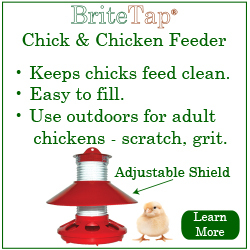 When setting up the BriteTap waterer, it should be placed at the right height as your chicks mature. In the beginning, the valve stem should be placed at the chicks eye level and them raised progressively as the birds increase in height. For chicks in the brooder, bricks work well as a mechanism for raising the height of the waterer. As your chicks mature, cinder blocks and milk crates are great ways to raise the height of the BriteTap waterer. This is a fantastic way to water your birds. It has eliminated many hours of keeping the birds out of yuckier water. I can add minerals or electrolytes to it and will provide the healthiest water yet!